You don’t have to be a Christian pilgrim to enjoy the beauty of Mt Tabor. Mentioned many times in the Hebrew Bible and New Testament, Mount Tabor draws pilgrims and tourists with its rich religious and historic background, as well as its scenic views of the valley. Many Christians consider this the site of Jesus' transfiguration, while for Jewish people it represents the battleground where the Israelite judge Deborah defeated the army of Jabin. The hill features a Franciscan basilica, a Greek Orthodox sanctuary, some Roman ruins, and the remains of 13th century Crusader towers and walls. Mount Tabor stands some 420 metres above the plain in lower Galilee, 7km east of Nazareth. It held a strategic position at the junction of trade routes. Many battles have been fought at its foot. Mount Tabor’s height affords uninterrupted panoramas. From the balcony of the Franciscan hospice, the view is of the plain of Jezreel, bounded by the Carmel range and the mountains of Samaria. The fertile plain is called “the breadbasket of Israel”, a reminder that one of the meanings of Jezreel is “God sows”. 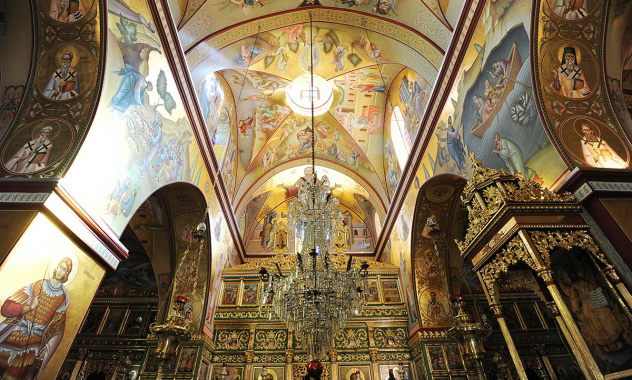 The present Catholic and Greek Orthodox buildings (separated by a wall) were constructed in the late 19th and early 20th centuries. A rock near the entrance of the church has an engraving in ancient Greek and beside it, there is an engraving of a cross. Nearby there are the remains of the 12th-century Benedictine abbey. The Greek Orthodox church, often not open to visitors, honours Elijah. The prominent Catholic Church of the Transfiguration, designed by the Italian architect Antonio Barluzzi, stands among ruins of a Benedictine monastery. 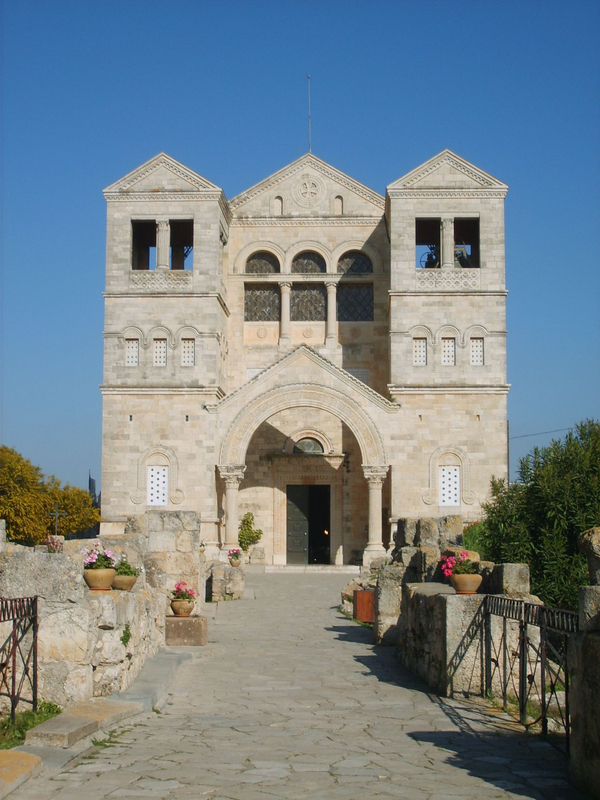 Its entrance is flanked by chapels dedicated to Moses and Elijah, who were seen with Jesus during his Transfiguration. The event itself is depicted above the main altar in the central apse. This was my first European trip and my first bus tour. Very well organized. Keep up the good work!